The peasant insurgency erupted in Cautín Province among the Mapuche Indians: landless peasants harrowed by hunger and misery that threatened them with extermination. There the Mapuches she wed their revolutionary capability. The rural agitation then spread rapidly southward; the regions of the Old Frontier and the southern lakes saw the rural poor awaken and revolt. Joining the struggle were the lumbermen of Panguipulli and the agricultural workers of Valdivia, Rio Buteno. 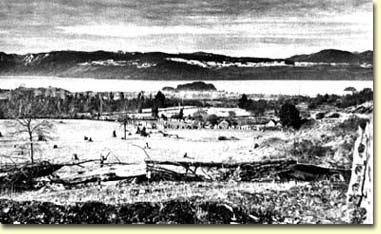 Llanquihue and Puerto Mona, the poorest peasants joined the struggle and at times were the most explosive. The mobilization of the rural poor and the death-threat to the great agrarian bourgeoisie spread throughout the South, and this mobilization rode with greater force upon the shoulders of thousands and thousands of peasants and agricultural workers awakened to the struggle. The agitation moved northward through the provinces of Malleco, Traiguén, Concepción, and Arauco. It went on to Ñuble, then reached Linares, gained more strength among the agricultural workers and today advances steadily through the Central Valley. Peasants without land, small subsistence farmers, afuerinos [seasonal and migrant workers], inquilinos [permanently settled workers on large farms], the agricultural semiproletariat, rural unemployed and peasant women join in ever-stronger union against the great exploiters of the countryside. From the National Secretariat of the MIR (Movement of the Revolutionary Left), "The Policy of the MIR in the Countryside: A Response to the Attacks of the Communist Party." The toma, or seizure, of the Tres Hijuelas farm came just a few weeks after the inauguration of the Marxist Unidad Popular regime of President Salvador Allende, and was the visible beginning of the present wave of peasant insurrection, agrarian reform, and sporadic violence that since has been spreading over the Chilean countryside. Shortly before dawn on November 30, 1970, 20 Mapuche Indian families from the neighboring Reducción Alhueco quietly threaded their way across the wheat fields of Cautín Province in southern Chile to pitch crude tents of wheat sacks and old blankets under a hillside cluster of eucalyptus trees on the farm with which they had a boundary dispute lasting many years. The Mapuches posted guards at the deserted clapboard farmhouse of the Fundo Tres Hijuelas-the Owner, Carlos Taladriz, lived in the neighboring town of Lautaro and was away in Santiago at the time-as well as at the machine shed, at the roadside entrance to the farm and at the bridge of planks that crossed over a small stream to the house. The only persons living on the 1,250-acre farm at the time were a shepherd and a tractor driver. The Mapuches, following what seemed to be a carefully prepared script, festooned the house arid the farm's principal installations with red and black banners of the Castroite MIR (Movement of the Revolutionary Left) and of its peasant affiliate, Movimiento Campesino Revolucionario (MCR). On the next morning the provincial newspaper, El Diario Austral, printed a front-page photograph of the Mapuches, armed with cudgels and pitchforks, massed at the entrance to the farm, which had been barred with eucalyptus poles that bore a glowering portrait of Che Guevara. Above their heads a large banner was tied to the gateposts that read: CAPAMENTO LAUTARO. TIERRA O MUERTE. VENCEREMOS. MOVIMIENTO CAMPESINO REVOLUCIONARIO. The newspaper reported "total intransigence" on the part of the Indians, who alleged that the lands were stolen from their community in the past and insisted upon remaining on the farm until it was expropriated by the Agrarian Reform Corporation (CORA). It was shortly after the fall harvest when I visited the farm in April 1972, roughly a year after its expropriation. The commune or municipality of Lautaro is the richest wheat-producing district in Chile, a rolling country of black earth studded with big oaks, fertile volcanic soil stretching westward between the eroded hillocks where the Indians lived, rising gently into the Andes toward the snowy top of the great Llaima volcano. The fields were empty, when I visited what was now the Campamento Lautaro, and were awaiting to be plowed and seeded with winter wheat. The recent harvest had been poor because of the great confusion of the land seizures and the agrarian reform, and there was considerable uneasiness about what would come. The green façade of the clapboard farmhouse was painted with the tall, spectral, black-and-red figure of Moises Huentelaf-a young Mapuche killed in an attempted seizure of another farm a few months before-rudely drawn in a poncho and broad-brimmed huaso hat, holding a club or cudgel aloft. Beneath the figure was the legend: NOBODY WILL BLOCK OUR WAY. When I asked the new occupants of the farm to tell me the story of the toma, one of them said: "We camped for a month on the hillside because we didn't want anyone to accuse us of ruining or looting the farmhouse. 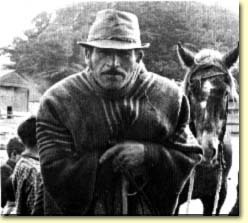 When the Carabineros (police) and later the Governor came to ask us why we took the farm, we told them it was because our great need, because we have no place to live, because among the Mapuches the sons and the Sons' children must live for many years with their fathers because there is no work and no land." 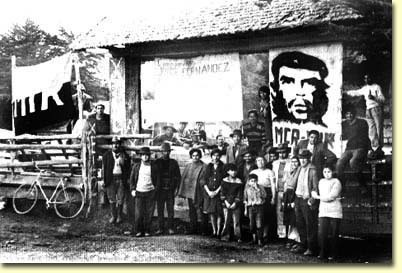 In the year that followed the toma of the Fundo Tres Hijuelas, some 120 farms in Cautín Province were totally or partially seized by Mapuches and by seasonal and part-time workers known as afuerinos, or outsiders, under the extremist leadership of the MIR, generating the most important agrarian uprising in Chile's modern history. It was, at bottom, the political expression, endorsed by a sympathetic Marxist government, of the desperate and long-accumulating demographic pressures on an overloaded pattern of minifundia exploitation. Cautín Province is not only Chile's largest producer of wheat and other key agricultural products, but also is the heartland of what for centuries has been known in Chile as the Frontier, the area where the Araucan Indians held out successfully for four centuries against the authority of the Spanish Crown and the republican government of Chile, where the racial and cultural distinctions between a Mapuche and a "Chilean" are still valid, where freely expressed contempt for the Indian on the part of sons and grandsons of European colonists of the late nineteenth and early twentieth centuries-Germans, Swiss, Frenchmen, and Spaniards-tends to distract from a tangled history of conflict over land. Beyond all these considerations, the agrarian revolt in Cautín has been the detonator of a political and economic conflict of great importance, both within the Unidad Popular coalition of President Allende, and between Chile's Marxist government and its increasingly powerful and articulate political exposition. This debate has called into question both the legality and efficacy of the government's procedure in taking over fundos in the countryside and factories in the cities, and has intensified as the tomas have steadily spread northward into the rich Central Valley and as Chile has slipped deeper and deeper into what clearly is its worst economic crisis since the Great Depression. Moreover, the conflict in the countryside, distorted and amplified in the press by both political extremes, has sparked the imagination of the Chileans, one of the most urbanized and civic-minded of Latin American peoples, into lurid talk of civil war. So far this much-discussed civil war has not materialized, and probably never will. However, during three weeks of travel in Cautín, this reporter found graver and more lasting reasons for concern than the minor incidents of rural violence so lavishly presented in the opposition press, concerns which are at the heart of the extralegal land seizures that have dramatized some of the larger political issues in Chile. These concerns may be expressed in terms of human pressure on available productive resources, and the scarcity of available land with which to both do justice to the rural poor and to improve productivity to feed a population which is 76 per cent urban. While the area of land in crops has expanded by roughly 20 per cent since 1940, the population has increased by 80 per cent. According to a 15-year agricultural plan published in 1965, "the gross supply of nationally-produced agricultural products per capita is less than in the mid-1930s." During World War II, Chile's agricultural foreign trade surpluses ceased-after centuries of exporting wheat-and Chile became a food importer in ever-increasing volume, with net food purchases abroad roughly doubling with each passing decade to reach about $160 million per year toward the end of the Christian Democratic regime of President Eduardo Frei (1964-1970). Shortly after his narrow victory in the September 1970 elections-he won a 1.4 per cent plurality in a three-way race with only 36 per cent of the vote-President-elect Salvador Allende told me: "Chile cannot continue as a country that must import each year $160 million worth of meat, wheat, lard, butter and vegetable oils, when there is enough good land to feed twice our population." However, in the first full year of his presidency (1971), food imports more than doubled to around $335 million, and are expected to reach around $400 million in 1972, due to a combination of production declines and inflated consumer demand. While Chile's export income stagnated because of declining world copper prices and production problems in the newly-nationalized mines, imports of consumer goods-mainly food products-skyrocketed to deplete Chile's foreign exchange reserves from a record $450 million in November 1970 to less than $50 million a year later, forcing the Unidad Popular regime to declare a moratorium on its foreign debts in November 1971 and forcing the government to confront the politically-explosive discontent arising from food shortages in the cities. In its turbulent first 18 months in power, Chile's Marxist coalition regime-composed of the Communist, Socialist, and Radical parties and two radicalized splinter groups that broke away from the reformist Christian Democrats-dramatically accelerated the agrarian reform begun in the mid 1960s, expropriating some 3,000 fundos by May 1972, compared with less than 1,500 expropriations under the Frei administration However, these 3,000 expropriations practically exhausted the amount of land available under the 1967 agrarian reform law, which was passed only after two years of acrid Congressional debate and which entitles landowners to retain a minimum reserve equivalent to 80 hectares (200 acres) of irrigated land in the rich Central Valley as well as their buildings, machinery, and animals. Chile has 75 million hectares [one hectare = 2.47 acres] of which some five million hectares are arable, 16 million are natural pastures and 20 million are covered with natural forests. Its 1.25 million hectares of irrigated land is its most valuable, generating 60 per cent of the value of national agricultural production. Of this irrigated land nearly halt or 530,000 hectares, already has been expropriated. Besides this, 1.25 million hectares of nonirrigated arable land have been expropriated as well as 5.38 million hectares of nonarable land. In total, 7 million hectares have been expropriated. This represents 2,877 out of a total of 3,600 latifundios [large estates. The total of agricultural properties, including minifundios [tiny subsistence plots], is 250,000. The economically active agricultural population is around 700,000 persons. Of these no more than 10 per cent dwell on the latifundio. This evidently obeys an [economic] law within this land tenure structure, by which the latifundio displaces the peasant population, pushing it into the minjfundio. This means that, even if all the latifundios were to be expropriated, only a minority of peasants without land would directly benefit. For this reason, there is no other alternative for absorption of the landless peasantry than a planned agriculture onented toward heavy capitalization of the reformed sector. This implies a fundamental change in the use of soils, especially those with irrigation. Only a small fraction of the irrigated soils of the latifundios are used for intensive cultivation-such as fruit orchards, vineyards, and vegetable truck farming-while a high proportion of these lands are used for production of grains, especially wheat, for natural pastures and in artificial pastures of medium productivity. In the nonirrigated sector there is an enormous excess of natural pasture in proportion to the number of animals, with the same number of cattle existing in 1971 as in 1936, while Chile's population has doubled since then. In the irrigated sector there are about 60,000 hectares of fruit orchards and 50,000 hectares of vineyards, while there are 500,000 hectares highly suitable for this type of cultivation. The simple fact of switching the irrigated soils now used for wheat into fruit orchards would mean an increase in the demand for labor from seven man-days per hectare annually to 140, and in the use of pastures from extensive cattle raising to intensive dairy farming would increase employment from five man-days per animal annually to 40 man-days. On this basis a gross projection has been made on what intensification of soil use would mean by 1980 in solving the critical agricultural problem of generating employment. With most of Chile's irrigated farmland concentrated in the rich Central Valley, the main issue underlying the agrarian revolt in the southern province of Cautín was the simple scarcity of land in view of the demographic pressures and soil exhaustion within the Mapuche reducciones, which contain the bulk of the province's rural population. 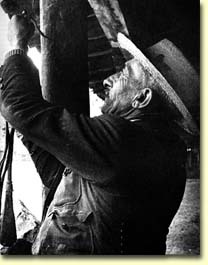 In a provincial peasant labor force of 65,545, only 10,860 had regular paid employment at the end of 1970 and another 862 were members of agrarian reform settlements (asentamientos); the over-whelming majority of peasants, mainly Mapuches, were either sharecroppers or subsistence farmers. According to the mimeographed government- report that gave these statistics, "those who think seriously of a profound structural transformation in the agrarian sector cannot accept in any way that this process should limit itself to the expropriation of the farms of more than 80 hectares basic irrigation equivalent. This would mean a transfer of only 17.7 per cent of the arable land, while most of the peasant population, working 68.3 per cent of the land, would be excluded from the process. If one pretends to speak of agrarian reform, one should contemplate a strategy that goes beyond expropriation in incorporating into the process this majority of peasant minifundistas which today remains isolated from all technical progress and lacks elementary services such as medical care, education, etc. The situation would not differ greatly in Cautín if the present law were changed to reduce the landowners' minimum reserve by half, to a 40 hectare equivalent, since the additional land to be expropriated would be only 14 per cent of the arable surface of the province. Given the high demographic density, especially in the Mapuche area, and the high unemployment and underemployment that exists, it is clear that the solution to these problems cannot be achieved through the incorporation of the excess labor force into new production units resulting from expropriations. The increasing demographic pressures on available land have generated a floating population of seasonal and migrant workers known as afuerinos, who follow the harvests from province to province and who often settle at the fringes of small towns. The afuerinos and the idle hands living miserably on Mapuche reducciones have been most responsive to the political call of the MIR to seize land, and with it a measure of security and dignity. A surly, 45-year-old Mapuche involved in the toma of the Fundo Tres Hijuelas told me: "Many of us were living in our fathers' house without work. I was living on one hectare of land on the Reduccion Alhueco with my wife and nine children. I had gone to Santiago for one year to work washing wine glasses in a canteen and then worked as a waiter. For years 1 worked as an afuerino in Cautín and the Central Valley in Talca and Linares, and the summer before the toma I worked especially hard because I knew we were going to take the land and we would need money while waiting for CORA to expropriate the fundo. Now we each earn 30 escudos daily as advances against our harvest from the Banco del Estado, and we receive this wage throughout the year." The name Mapuche means, literally, People of the Land. Even before the Inca conquest of most of what is now Chile in the late fifteenth century, the Mapuches (or Araucans), as they were known during colonial and most of the Republican times, were a sedentary farming people growing corn and potatoes, the food staples of the higher civilizations to the north, and the Mapuche vocabulary contains many Quechua or Incaic root words. In the dense forest of Araucanía, which must have resembled pre-Roman Britain, they dwelled in separate and autonomous family clusters about one mile apart under strict-patriarchal rule; as in Old Testament times men could have several wives and they believed in a Supreme Being." Unlike the Inca and later Spanish conqueror who could never quite establish themselves in the Araucan heartland south of the Rib Maule, the Mapuches had no notion of formal and permanent political entities such as states or nations. A Spanish Governor of Chile once said that "the war of Arauco has cost more than the conquest of all the rest of America." In 1664 Jorge Eguía y Lumbe wrote to the King of Spain that "until now 29,000 Spaniards have died in the war and more than 60,000 indian and mestizo auxiliaries. The conquistadores easily gained control of Chile's rich Central Valley in the mid-sixteenth century, but the valley's aboriginal population was being depleted rapidly by epidemics and by slave labor in the placer gold mines, forcing the Spaniards to penetrate into the Araucan forest redoubt in search of more Indian labor. One of those captured in one of these early forays was a 15-year-old boy named Lautaro, who escaped and returned to his people in 1553 after serving for three years as a page to the first Governor of Chile, Pedro de Valdivia, a member of Felipe II's court, veteran of the Spanish campaigns in Italy and Flanders, and one of Pizarro's most trusted lieutenants in Peru. In the four years between his return to Arauco and his death while leading a reluctant Indian army in an attack on Santiago, Lautaro proved himself a military ;genius of the first rank. Using what by now have become known as classic guerrilla warfare and tactics of annihilation. Lautaro quickly destroyed the Spanish forts that had been established in the Araucan forests and in December 1553 wiped out Valdivia and his company of 40 men after luring them on several days' journey away from their fortress at Concepción by reports of an Indian uprising in the interior. Another illustrious Spanish soldier, Alonso de Sotomayor, wrote in 1585 to Felipe II of these guerrilla tactics: "And one can wander for a year and find nothing but an old woman if they don't want to fight, because the terrain is so difficult and they so free-moving and we so overburdened with supplies, cattle, and attendants that our movements have no effect. And every day they steal our horses." Although it was the Spaniards who introduced the horse to America, the Mapuches had begun to use cavalry in battle on a fairly large scale as early as 1568. Long before the close of the sixteenth century they were beginning to use firearms. Not only did these loosely associated Indian clans provide the only successful resistance to the European conquest of America, but they attracted an important number of defectors from Spanish ranks. Lautaro met his death when the Spaniards counterattacked his improvised fort not far from Santiago, where he had stopped his offensive because the Araucan chieftains refused to follow him outside their homeland and the new Indian army that he gathered on his way north apparently hesitated to attack the colonial capital. However, the numerous Indian uprisings of the sixteenth and seventeenth centuries forced the Spaniards to end their efforts to conquer the Araucanía and to treat the Indian chieftains as equals. Each new Spanish Governor would ritually travel to a meeting place on the Araucan frontier to bring the native caciques greetings from the King of Spain, and to spend a few days and nights with them in flattery and drinking. Toward the end of the seventeenth century the white man tried a new approach. This was to send merchants into the Indian territory for trading purposes, bribing the caciques and introducing large quantities of wine and aguardiente. The peaceful relations between the Spaniard and the Indian, despite intermittent rebellions, developed to the degree that the Araucans supported the Royalist cause in the Wars of Independence, even while Bolivar was calling them "the proud republicans of Araucanía" and Chilean independence leaders described their struggle as the "war of Araucanían independence" and evoked the Rousseauian ideal of the noble savage "ignorant of the usage's of Europe and the vices of the outside world." The frustration felt after three centuries of futile and costly efforts to conquer the Araucanía was now embossed with a romantic idealization of the Indian that checked all new plans for conquest. This physical and psychological inviolability of Araucanía remained intact until shortly after December 28, 1861, when a strange Frenchman knocked at the door of an army sergeant in the frontier village of Nacimiento and offered the man 50 pesos to guide him to the house of a Mapuche chieftain. In a note to the Chilean government dated November 17, 1860, the Frenchman, Antoine de Tounens (1820-1878), had already identified himself as Orelie Antoine I, King of the Araucanía and Patagonia. A recently deceased Mapuche cacique had predicted the coming of a King of the Araucanía, and Orelie Antoine was duly elected at a conclave of chieftains after promising to urge the Chilean government to "respect Indian property and to inform it that it has no right to establish towns this side of the Río Bío-Bío, which is the frontier line bequeathed by your forefathers." A week later the new king was captured in the forest by a police platoon, and after an extended judicial inquiry in Santiago was deported to France, where he later published his memoirs. These developments, however, profoundly changed Chilean attitudes toward the Frontier, making many people wonder how long a vacuum could be allowed on Chilean soil without another nation exploiting it for its own purposes. It is indeed striking, especially in a country where alcoholism long has been recognized as the leading public health problem, how the association between liquor and the Indian appears on virtually every scrap of writing on the Frontier. But the defeat of the Indian, with liquor as the most folkloric instrument of this defeat may be ascribed as well to the steady penetration of Chilean squatters and European colonists into Araucanía. These settlers stripped away the protective forest cover that for centuries was the Mapuches' main fortification against the outside world. In his classic study of Chile: Land and Society, George MacBride wrote that by the mid-nineteenth century "white squatters... - had been filtering into the Indian territory, settling among the Indians and intermarrying with them, while Chilean outlaws found the region a haven of safety from prosecution. Little by little the more venturesome of the Araucanians also became accustomed to visit the adjacent white settlements." The pressure from the north by Chilean squatters was matched by the incursions from the south by German colonists recruited by Chilean immigration agents in Europe who found an increasing eagerness of liberal Germans to emigrate following the failed European revolutions of 1848. With the passing decades the great forest was replaced gradually by undulating wheat, the virgin volcanic soil and its mantle of organic material accumulated over the centuries producing extraordinary yields of between 25 and 35 bushels per acre. By the 1880s mechanical harvesting machines, only recently introduced on the North American prairie, were being employed on the rich lands of the frontier well before modern farm machinery was employed elsewhere in Chile. These were the years when the Chilean economy was bursting its seams from the riches generated in the nitrate deposits in the newly conquered northern deserts. The nitrate boom brought in more European immigrants and motored the expansion of cities, especially Santiago, providing an ever growing demand for the wheat and timber of the newly cleared southern forests. The flow of merchants, peddlers, soldiers, squatters, land speculators, colonists, farmhands, and government officials pouring into the Frontier increased the population of Cautín Province from 52,589 to 92,585 between the censuses of 1885 and 1895, and to 176,471 by 1907. Meanwhile the land tenure situation became the cause of increasing violence and confusion. Political insiders won concessions of large tracts of land for colonization projects that never materialized, while the Mapuches were stripped of much of their lands in the officially assigned reducciones, containing some of the most fertile soil in the region, despite laws prohibiting alienation of Indian lands. According to Enema, "this created the systematic exploitation of the Indian by lawyers and tinterillos (scribes). They could buy parcels of Indian lands for a handful of peso notes and some barrels of wine or aguardiente, and at once legalized the transfer of ownership with false documents that evaded the legal prohibition. Much more numerous were the transfers of ownership that, following the same procedures, were executed in behalf of merchants, landowners, and colonists who had gotten the land directly from the Indians, annexing them to other properties auctioned by the government or bought from other owners. The Indians did not always accept the sales made in a moment of credulity or drunkenness, and tried to recover their lands by recourse to law or violence. Apart from incidents of bloodshed and revenge, this led to swarms of lawsuits that had the effect of extracting from their pockets, as if with a suction pump, whatever value could he attached to their wool, sheep and sacks of wheat for payment to the tinterillos". As a result of these and other irregularities some 47,000 properties covering 50 million acres in the south were estimated in 1929 by the Chilean government to be held under doubtful title. MacBride recalls his journey in 1903, following completion of the north-south railroad, on the first through train to cross the old Araucanía territory where he saw "an almost uninterrupted forest in which few inhabitants other than Indians were seen. Recent tours in the early 1930s through the same country have shown large parts of it cleared, fenced and cultivated; and in one railway journey through the old Araucanian territory not a single Indian, at least in native costume, was seen. One is reminded of the rapid transformation of eastern Oklahoma that followed the opening of that district to white settlement." The most intensive clearing of these lands accompanied the wheat export boom of the 1920s, when rising grain prices and declining wheat yields after the first few harvests from the virgin soil impelled a continuing expansion of the area under cultivation. At the same time, the Mapuche reducciones steadily shrunk in size. The Mapuche always had a dim sense of property in the Western sense of the word, and Chilean law holds that all land without clear private ownership belongs to the state. While the reducciones initially contained fairly generous amounts of fertile land per capita, the Araucans kept largely to subsistence level farming and left much of their land untilled. The pressure of advancing white settlements led the government to seek more and more land for homesteading in the parts of the reducciones that were not being used, auctioning off many of these areas to settlers as public lands. On the other hand, statutes passed in 1866, 1874, 1931, and 1961 attempted to encourage subdivision of the reducciones among their member families to give the Mapuches security of title and to dispose of any remainder for white colonization. In this way, between 1931 and 1949, some 793 reducciones embracing 320,000 acres were divided into 13,778 family size hijuelas, an average of around 22 acres per family. Some 1.2 million acres were assigned to 3,000 reducciones in the Araucanía territory between 1884 and 1929. The population of these reducciones, however, rose by 1963 from 77,751 to 322,916 reducing the man-land ratio from more than 15 acres per capita to about 4.5 acres, with land in crops presently reduced to about one acre per capita and with an equally serious decline in soil fertility. The February 1971 ODEPA report on the agrarian crisis in Cautín points that wheat yields on small farms are only about two-fifths of those on fundos of more than 500 acres, attributing the low minifundia yields to the classic causes of "(1) sowing crops that require more land for economic operation, (2) the impossibility of rotating crops to avoid soil exhaustion and erosion, (3) nonuse of fertilizers, and (4) lack of technical support and credit." According to this document, "there exists clear evidence that the present use of land resources does not correspond to their potential, fundamentally because of the pressure on these resources for the sustenance of the numerous families in the minifundio sector. in this way, forest and grazing lands are subjected to excessive use for growing crops which, besides failing to meet the subsistence needs of the users, undermines the survival of these resources. On the other hand, lands suitable for cultivation are underused [by large landowners] through investment in permanent pastures and excessive rotation beyond the needs of the soil." The CIDA land tenure study focuses detailed attention on the Mapuche subsistence economy, especially in Cautín, where more than half of the Araucan population still lives. "Comparing the 5,613 non-Mapuche production units counted in the 1955 Agricultural Census with the estimated 34,000 hijuelas subsistence parcels within Cautín's 2,024 reducciones, one concludes that the Mapuches operate roughly 86 per cent of the production units in Cautín Province with about one-fourth of the farmland," with wheat occupying four-fifths of the Mapuche land in annual crops. Among 26 Mapuche production units in seven Cautín reducciones studied by CIDA in 1963, 40 per cent of the inhabitants-57 of 142 persons-live on 12 land parcels totaling 170 acres, averaging three acres per person. However, the soil exhaustion was apparently so great on the seven reducciones under study, that less than one-third of all arable land and one-fourth of the total area could be planted with crops. CIDA reported that, although good results were obtained from fertilizers where used, "only six of the 26 Mapuche production units used fertilizers, and in smaller quantities than the recommended doses." The 26 families worked an average of 203 man-days per year, even though many families include more than one man, with an annual per capita income averaging US$88, including both cash crop sales and the monetary equivalent of their subsistence consumption. According to another study by ICIRA done in 1966, two-thirds of 775 Mapuche families in 20 reducciones were without oxen. The Reduccion Alhueco, where the toma of the Fundo Tres Hijuelas was organized by the MIR, consists of ten wood shacks spread over 150 acres of undulating country between Lautaro and the eastern cordillera of the Andes. The house of Andrés Railaf is perched on a hillock, protected against the winter winds by a clump of pines at its back, and overlooks the shacks, fences, and subsistence plots of his relatives close by. According to Andrés Railaf, there were 12 persons living in his shack before the toma and supported from his ten acres of land, but now there were only seven people. "When two of my brothers and two of my sons joined the toma, I decided to stay behind because there would be more land here," he said in a quiet, laconic way. "The soil is tired from many harvests, so I can plant only five acres each year. This year I worked the land a medias (half-and-half sharecropping) with my son-in-law because I had no oxen. One ox swallowed a piece of barbed wire and bled to death, and the other was so old that I decided to sell him to the slaughter house. My son-in-law had a team of oxen, so we agreed to work half-and-half." The name Mapuche means People of the Land. This is especially true in the province of Cautín in Southern Chile, where the estimated 173,604 Mapuche Indians living on 1,978 reducciones represent 84 per cent of the rural population. It also signifies the degree to which the agrarian power structure has been urbanized, even in one of Chile's most rural provinces, with most big landlords living in the flourishing provincial capital of Temuco (population 100,000) and spending most of their lime running supermarkets or automobile distributorships or practicing the learned professions. The majority of agrarian reform officials who have descended upon Cautín over the past 18 months are also from the cities, as are the young cadres of the MIR-many of them secondary school dropouts and former university students from Santiago and Concepción-who have so successfully organized the tomas that, together with the agrarian reform, have imposed major changes in the province's land tenure structure. It could be argued that the agrarian reform is the apogee of urban influence in the countryside. As explained to me recently by a senior official in the land reform program of President Eduardo Frei (1964-1970), "there had been talk of land reform in Chile for a few decades, but it took outside influences like the rise of Fidel Castro and the Alliance for Prowess to light a fire under the land reform movement.- The romanticism of the intellectuals concerning agrarian reform was coupled with the realization that, while Chile has urbanized rapidly, all the virgin lands had been occupied by persons not using their lands to their full potential, while agricultural production per capita had been declining steadily in recent decades. At the beginning of the Frei regime we undertook land reform with the knowledge that it would impair production at first, but this didn't worry us because agriculture was only one-tenth of national production and copper prices were high enough to import food if necessary. While the Christian Democrats under Frei didn't have a chance to expropriate much land, they were able to greatly increase rural wages and to promote the organization of peasants into unions." During part of my three weeks in Cautín I conducted interviews with members of the MIR, both in Temuco and traveling among a number of seized fundos that are being turned into collective or cooperative enterprises. These interviews were extremely revealing as to how the agrarian revolt in Cautín was prepared and executed in the months before and after Salvador Allende's election. According to Sergio, a 21-year-old high school dropout from Concepcidn who had been living with the Mapuches in Cautín, "I went to live in Lautaro on November 23, 1969. Students from the University of Concepción, which the MIR controlled, previously had run a summer camp for social projects in the communes of Lautaro Nueva Imperial, making contact with the Mapuches by conducting a medical clinic, literacy classes, political lectures, and movies. We started in Cautín working with students at the University of Chile's branch in Temuco and in the secondary schools. But we soon decided that what counted was contact with the masses, so at one meeting we decided to split up and go to live in the reducciones. 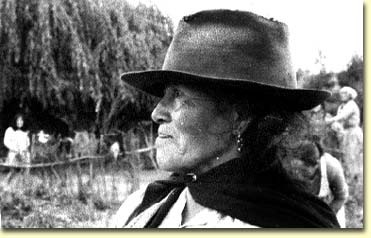 It took a lot of patient political work to give the Mapuches a new revolutionary consciousness before the corridas de cercos (literally, fence-running or seizures of disputed portions of large farms) and the tomas of entire farms." The MIR is organized on strict Leninist principles of a small revolutionary vanguard party that is extremely selective in recruiting new members. However the youth of some of its key cadres is somewhat astonishing. The person introduced to me as the coordinator of MIR activities in the rural zones of Cautín was called José, a 21-year-old former sociology student at the Catholic University in Santiago, who dressed conservatively and spoke very politely and had the neat, serious look of those American college students of the 1950s who were known as the Silent Generation. "My father is a professional man, a Christian Democrat, an admirer of Eduardo Frei," José told me. "At the Catholic University we were studying an American-style sociology, methodology and Talcott Parsons and that kind of thing, which didn't have much to do with the Chilean reality. When I got involved in politics I gradually moved out of my house, sleeping elsewhere, so there would be no problems with my parents and my six brothers and sisters. When I arrived in Cautín in August there already were 10 MIR cadres here. We always saw the South as a social base for guerrilla war. This followed the theory of the foco of Regis Debray, who was wrong because he viewed revolution as being dependent on an elite and not on the masses. We were carrying forward a plan for guerrilla insurrection in the South until Allende's election victory, which surprised us greatly and led us to change our tactics by discarding guerrilla warfare in favor of a radicalization of the agrarian process. Between May 1970 and Allende's election on September 4, there were some 40 corridas de cercos in Cautín and Malleco Provinces. A week after Allende's election, we formally organized the Movimiento Campesino Revolucionario (MCR) on September 12, 1970, and at the end of November we carried out our first toma, seizing the Fundo Tres Hijuelas of Carlos Taladriz, who belongs to one of the most important landowning families in Cautín. "When a toma occurs, we generally leave behind an armed fighting group, with rifles and machine guns, to protect the toma until CORA intervenes and expropriates the property," José continued. "This is necessary because, almost immediately, the reactionary landlords formed their own armed groups to retake the fundos from the peasants. Our big problem is an insufficient number of armed groups of our own to protect the tomas. We must train the peasants to defend themselves and arm them, but this involves great problems of training and discipline. We must take five or six fundos at the same time in a contiguous area so one armed group can protect more than one fundo at once. There often have been conflicts among the campesinos themselves between the outsiders who took the farm and the inquilinos [tenants] who sometimes have lived there for generations. We have always told the Mapuches that the inquilinos are exploited also and we must unite with them. Our only failures came when we didn't unite with the inquilinos. Although the agrarian reform law allows expropriated farmers to keep their buildings, machinery, animals and a minimum reserve of land. we decided to seize the farms a puertas cerradas [literally, with all doors closed], not allowing the landlord to take anything out and forcing CORA to expropriate the whole farm and everything on it. We felt that, with the houses, machinery and animals taken away from the peasants, the fundo would be completely decapitalized and the risk of economic failure would be much greater. If the landlord keeps his minimum reserve of land, this means he stays as a neighbor and a bad influence over the peasants, with a tendency for old feudal relationships to be revived. On the contrary, the peasants must be free to develop their own leadership. After a year of working in the countryside in Cautín we realized that most of our MIR peasant cadres were the sons of Mapuche minifundistas who worked as afuerinos because there was no land at home. Before that we gave them the ridiculous label of 'small proprietor without land,' not realizing that to be a proprietor one has to have land." The rural agitation and corridas de cercos in Cautín in the months before the 1970 Presidential election Were a variant of the MIR tactics at the time of urban land seizures by squatters, especially in Santiago and Concepción, as well as wildcat strikes and seizures at factories and peasant "mobilizations" in the parts of the Central Valley where tomas were later to occur.3 Four months before the election the MIR publicly discounted the possibility of a leftist victory and suggested the possibility of a revolutionary situation developing from the political campaign: "If the election results in a triumph for the Unidad Popular, which we believe to be extremely unlikely, we proceed from the assumption that a reactionary military coup will try to block the people's access to power. In that case we will not vacillate in placing our incipient armed apparatus, our cadres and all else that we have in defense of that which the workers and peasants have conquered." Once Allende had won his narrow election victory, the MIR reiterated: "In May of this year we sustained that the increase in social mobilizations were the most relevant political fact of the period; that the elections would fit into the framework established by these social situations; that we would not participate in the election campaign as such, but would invest our efforts in pushing mass mobilizations by revolutionary methods and in developing direct actions linked to these mobilizations; and so we did. We developed this policy in distributing expropriated money [obtained in bank robberies for which the MIR claimed authorship] among the pobladores in the 26 de Enero squatter settlement; in the direct actions in the Helvetia and El Caucho factories; in the mobilization at Sigdo-Kopers, Muebles Roma, Carbón y Textiles de Tomé; among the pobladores in seven land seizures in Santiago and other urban tomas in Concepción, Tome, Coronel, Chillán and Los Angeles, in the peasant mobilizations of Chillán and Colchagua, in the corridas de cercos among the Mapuches of Cautín, and among the secondary and university students throughout the country. This policy permitted an enormous organic development, an increase in our operational capacity and a significant influence among the masses, contributing also to the political and combative unity of the workers." Allende's victory immediately provoked a financial panic in Santiago as thousands of Chileans fled the country and New York banks suspended routine commercial credits to Chile, and all this was further complicated by the assassination by right-wing terrorists of the army commanding officer, General René Schneider, a few days before Allende's confirmation by the Chilean Congress. However, the MIR emerged from the crisis period of the 1970 elections with its organization greatly expanded, with great freedom of action and considerable support from within the new Unidad Popular government. Until 1970 the MIR's main sources of strength were among the students of the University of Concepción, where the MIR was founded in August 1965, and among the influential group of ultra-left journalists and politicians who ran the Castroite biweekly magazine Punto Final in Santiago. That group included Clodomiro Almeyda, leader of the Maoist wing of the Socialist Party and now Chile's Foreign Minister; Senator Carlos Altamirano, who was elected Secretary-General of the Socialist Party two months after Allende's inauguration; Carlos Jorquera, who was appointed Allende's press secretary; Jaime Faivovich, legal counsel to CODELCO, the state corporation running the newly nationalized copper mines, and Augusto Olivares, who was named head of one of Chile's three television networks. Shortly after his inauguration, Allende freed some MIR members who were jailed for terrorist activities, while other MIR cadres became presidential bodyguards. As the months passed there was increasing talk in political circles of "double militancy" on the part of many members of Unidad Popular coalition parties- especially the Socialists and MAPU, the leftist splinter faction that broke away from the Christian Democrats before the 1970 election-who were also collaborating with MIR while conducting a running battle with the Communist Party for control of key state agencies. This was especially true of the agrarian reform bureaucracy, where the battle was joined between the Communist David Baytelman as head of CORA and the hard-line Socialist Adrián Vasquez as head of INDAP (Instituto de Desarrollo Agropecuario), which is supposed to give organizational and technical assistance to peasants outside the reformed sector. 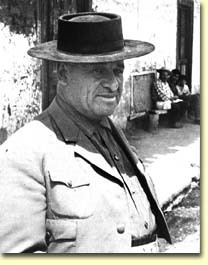 Characteristically, the Secretary-General of the MIR in Cautín, Juan Saavedra, was an INDAP official who visited fundos in a government vehicle shortly before they were seized by the peasants. In an internal document leaked to the press after the Unidad Popular coalition suffered its first major political defeat in parliamentary by-elections last January, the Communist Party complained: "One of the reversals that should concern us more is what we are experiencing in the countryside. We have expropriated fundos at five times the rate of previous governments. Nevertheless, we do not gain strength in the countryside. Doubtlessly fundamental is the lack of a common agricultural policy within the Unidad Popular. Of the agrarian sector one can safely say that there is something rotten in the state of Denmark. The policy applied is bulging with subjectivism, and is influenced by ultra-leftist conceptions. The state apparatus itself is strongly penetrated by ultra-leftist elements." In the confused months following Allende's inauguration, the MIR in Cautín Province was able to make extraordinary progress in consolidating its base among the Mapuche peasantry through a swift and dramatic series of land seizures. Following the toma of the Fundo Tres Hijuelas on November 30, 1970, a protest was made to the press by the landlord's brother-in-law, Ricardo Henzi, a Temuco optician of Swiss descent who also owned a fundo in the vicinity. Henzi reported that the Mapuches earlier had seized 30 acres of the Fundo Tres Hijuelas in one of the corridas de cercos that the MIR had organized in previous months. According to Henzi, "the same conditions exist on a nearby farm of my father-in-law, Carlos Paslack, who also has problems with the Indians who have invaded his land. They have carried out corridas de cercos cut down trees, plowed pastures and done countless harm. Only today on the Fundo Tres Hijuelas they have slaughtered and eaten two prime steers. Señor Taladriz, after the first invasion, got a court order in his favor, but the authorities have refused his request for a police detachment to evict the Indians. The new Communist Governor of Lautaro Department, Fernando Teiller Morin, told the landlords that he preferred to use persuasion rather than force in dealing with the tomas, and was later suspended and ordered to stand trial by the Chilean Supreme Court for "failing to duly cooperate in the administration of justice." In April 1972 the suspended governor told me that the land seized by the Mapuches in the corridas de cercos had been in dispute for many years with the farm's previous owner, against whom the Indians had brought a lawsuit for usurpation. "The case was won by the Mapuches in three different courts-the Juzgado de Indios, the Appeals Court in Temuco and the Supreme Court in Santiago," Teillier said. "However, under prevailing law the landlord was able to appeal to the government to expropriate the land in his behalf, so the Indians lost out anyway." Two weeks after the toma of the Fundo Tres Hijuelas, the conservative National Party deputy from Cautín, Hardy Momberg, charged on the floor of the Chamber of Deputies in Santiago that the Mapuches had denied the farm's owner access to the fundo to transfer his animals and machinery to his other properties. "On that fundo there are persons who are not Mapuches or laborers," Momberg continued, "but who form a kind of militia with uniforms, special shirts, boots, berets, and machine guns hanging at their sides, who live in tents beside an effigy of Che Guevara. These are the ones who give orders. . . . Provoked by these to mitt something very serious may happen soon. What farmer doesn't have a shotgun, rifle or pistol in his house? With this wave of land seizures in the Province of Cautín, it may be reasonable to expect that one day a farmer will fire in desperation at one of these militiamen or agitators or workers and a clash will come." Events in the province of Cautín over the next two months came so swiftly that they are hard to reconstruct. On the day that the Fundo Tres Hijuelas was seized, the Lautaro landowners' association charged that more than 5,000 acres had been taken since August 1970 by the Mapuches from 26 of its members. 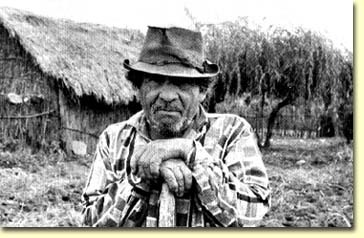 While these corridas de cercos, however, had been partial seizures of fundos often involving lands in dispute, what fob lowed in the summer of 1970-71 (December through February) were tomas of entire farms, sometimes at the rate of three or four a day, amounting to some 25 tomas in Lautaro alone by mid-December and leading Domingo Durán, president of the Consorcio Agricola del Sur, to speak of the "desperation and anguish of the agricultural producers of the South" at a meeting in Santiago between President Allende and 40 representatives of the principal landowners' associations. In reply, Allende described the tomas as being "ill-advised" and added: "Since November 4 we have been concerned with defending the institutional order, undoubtedly not because we like this order but because we have committed ourselves to act within these institutions. We have been the principal defenders-of this order so we can change it, gentlemen, change it... We have information regarding landlords' organizations, about arms contraband, the use of farms along the Argentine frontier and about people who have small landing strips in this area. Although we are aware of this, we have not wanted to denounce it because we know that the institutional order is not in danger, first because we know how to defend it and secondly because we have the majority support of the country." This meeting was followed promptly by the arrival in Cautín of the Ministers of Agriculture and of Lands and Colonization, who made inspection visits to some of the seized fundos. Five days after the Santiago meeting Allende himself came to Temuco and spoke for an hour before 7,000 persons gathered in the Municipal Stadium for the closing session of the National Mapuche Congress. "I have come to tell the landowners that we will also respect the legitimate rights of landlords who have respected the law," Allende said. "And I want to tell our Mapuche companions that they should completely end the tomas and corridas de cercos, because they are exploited politically by the enemies of the People's Government and they hamper a rational and technical application of the agrarian reform. I want to tell you that the agrarian reform will be accelerated, that in this province of Cautín this accelerated process of land reform will begin by my own personal order. And I have told my friend, the Minister of Agriculture Jacques Chonchol, that he should establish himself in the province of Cautín for a period of one or two months if necessary, beginning on January 2nd, to set in motion an emergency plan." The arrival in Cautín of Chonchol-a Food and Agriculture Organization adviser in Cuba in the early years of the Castro regime and a leading agrarian reform official of the Frei government before he broke with the Christian Democrats-was greeted by an editoirial in the conservative El Diario Austral, which coldly observed that "Chonchol is to private property what a tiger in the jungle is to a gazelle." One could have expected that the landlords' reaction would be strong. Politically, Cautín is one of Chile's more traditional provinces, where in the 1970 elections Allende finished a poor third with about 23 per cent of the vote, while his conservative rival, ex-President Jorge Alessandri, led with 43 per cent, his largest plurality among all of Chile's provinces. In Cautín, rural property is far more evenly distributed among the "Chilean"-as opposed to the Mapuche-population than in the more fertile Central Valley, which traditionally has been dominated by great haciendas. Making this comparison in the early l930s, MacBride observed that in the South "a casa de hacienda is seldom seen; nor do miserable ranchos of inquilinos line the roadside. The medium-sized rural dwellings and their wide distribution over the countryside give the social landscape a different aspect from that of the hacienda-land farther north. This is clearly a country of smaller holdings, of more equal distribution of the land. In a region whose basic wealth is the soil this means less inequality of status among the inhabitants. Social and political conditions must follow the lead of this land distribution, and the traveler realizes that he has left the home of the Chilean aristocracy and has moved into provinces marked by far more democratic ways." But land has become increasingly scarce. Two decades later Ricardo Ferrando, today a leading Christian Democratic senator, wrote that "Cautín was a kind of American Far-West. It attracted people not for the gold of its mines but for its agricultural wealth and for the ease with which landed property could be obtained; that is, snatched from the Indian who had no system of private property. This accumulative process increased while there still were lands available, while the great deforestation proceeded and a stable rural life was organized. Today the province of Cautín is a region tilled to capacity within its present economic system, and this is so true that the population actually declined between the 1940 and 1952 censuses while the rest of the Chilean population was growing, signifying a substantial out-migration from Cautín in this period." Although Cautín has followed the general Chilean pattern of rapid urbanization in recent decades, but at a slower rate, its basic wealth remains in the land. 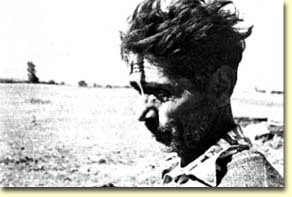 Although the MIR appears to have been reluctant to carry out tomas against "Chilean" farmers living on their land, such tomas have taken place. To nobody's surprise, landowners began organizing self-defense vigilante groups to patrol country roads at night and "retake" (retomar) farms seized by the Mapuches. The first important outbreak of violence came on December 24, 1970, just four days after Allende's speech in Temuco. It occurred at the Fundo Rucalán, a 1,500-acre farm near the town of Carahue in the heart of the Mapuche country west of Temuco, which had been seized by 38 Mapuche families from a nearby reducción at 3:30 A. M. on the morning of Allende's visit, ejecting the owner and his family in their nightclothes. Three Mapuches were wounded when the Fundo Rucalán's owner and a large group of his friends, heavily armed, chased the Indians from the property. This was the first bloodshed issuing from the land seizures in Cautín, and a public scandal developed when the fundo's owner, Juan Bautista Landarreche, and his two sons were arrested for a violation of the State Security Law for retaking the property by force. As in virtually all the rural land seizures in Chile during this period, the Carabineros (police) did not take any action apart from visiting the scene and making a report. However, the accusation against Landarreche occasioned a major political trial, with one of Chile's most famous criminal lawyers flying down from Santiago to conduct the landowner's defense and the full 15,000-word transcript of the trial pleadings published in three consecutive editions of El Diario Austral. Landarreche was quickly freed and the MIR began to complain of "armed groups of latifundistas" and charged that "a team of ten right-wing lawyers went to the province of Cautín to study, case by case, all the possible expropriations that the government would attempt. The fight will take place in the courts, where the judges always have shown a strong weakness for the landowners." When I visited the Hacienda Rucalán more than a year later in the company of a young MIR activist named Alejo, he told me: "The Mapuches here have shown a strong will to fight. This fundo changed hands five times in tomas and retomas before it was finally expropriated." The retoma of the Fundo Rucalán began a series of sporadic clashes in the countryside of Cautín that left a total of five persons dead and more than a score wounded. These deaths occurred in what were, after all, minor and isolated incidents which, while most unusual in Chile, have not produced any sign of major political and social forces massing for civil conflict. On the contrary, these clashes were the exceptional cases in which the Mapuches involved in a toma encountered resistance from people living on the property. Needless to say, none of these tomas probably would have succeeded against the will of a government bent on stopping them. The real impact of the tomas throughout rural Chile, but especially in Cautín, has been of panic and chaos among agricultural producers that tends to worsen the already critical economic problems of the Allende regime, perhaps out of proportion to the real level of violence in the countryside. The Association of Agricultural Employers listed 694 illegal seizures of farms in Chile between Allende's inauguration and the end of September 1971. Of these, 555 farms were later returned to their owners. In Cautín, however, the impact of the tomas was especially strong, with only 41 of 95 seized farms returned to their owners. Shortly after he established his temporary headquarters in Cautín in January 1971 on President Allende's orders, Minister of Agriculture Jacques Chonchol spoke at a labor union rally in Temuco's Municipal Theater to outline his plans. "It is the decision of the People's government," he said, "to carry out a land reform in depth in this province. The momios [mummies: a slang word meaning reactionary that became popular during the 1970 election campaign] say they agree as long as it is done within the law. It will be done within the law, but the law will be applied in depth, compañeros, to its last article. Tomorrow they should not come to tell us that their fundamental rights are being trampled, because here the People's government will apply the law from the people to the momios and not by the momios against the people." What this meant in practice soon became clear. Under the Chilean labor code, the Ministry of Labor is empowered to appoint interventors to manage any production unit that is paralyzed by a labor conflict. Because most tomas have involved peasants already working on the farm as well as others from outside, they can be formally defined as a labor conflict and an interventor appointed to run the farm. The interventor is empowered to hire as many new workers as he deems necessary and contract any debts that he deems advisable, with the proprietor obliged to repay the debts. In many cases the landowner finds it preferable to sign over his property to CORA than risk being mined h~ such indebtedness. Often the interventors in rural tomas are members or friends of the MIR who as a matter of routine hire onto the permanent payroll the peasants from outside who seized the farm. One of the most spectacular tomas of the last year was the Fundo Loberia owned by Domingo Durán, president of the southern regional landowners association and brother of a leading conservative senator. Loberia was one of four haciendas which until the early l960s formed a single 5,000-acre estate, much of which was a drained swamp used for cattle-fattening until a large part of it sunk beneath the water line in the 1960 earthquake that caused widespread devastation throughout Chile. On the night of October 16, 1971 more than 100 Mapuches from a neighboring reducción seized the four farms and removed the plank bridge that connected the haciendas with the outside world. After Durán agreed to the expropriation, a municipal water inspector from the nearby town of Puerto Saavedra was named interventor for the four fundos. When I visited the site-traveling in a launch from a place further up the river because the plank bridge was still out-a gaunt but tensely talkative man named Juventino Velazquez, told me: I am a member of the Socialist Party, the son of a peasant inquilino de fundo, and most recently a mechanic in the water supply department of Puerto Saavedra. I was involved in the planning and preparation of this toma during the five months before it took place, since I am also coordinator of the Peasant Council of Puerto Saavedra. The toma involved 94 families from three different reducciónes, where 110 families had been sharing a total of 375 acres, much of it uncultivable. These four fundos together cover about 7,500 acres, but the titles cover less than half this area. Since becoming interventor I have put all the Mapuche men on the payroll at 30 escudos per day, and we have brought in two Czech tractors. The peasants decided to seize this land because all other solutions were blocked, but we still had to play the legal game by tilling out papers for CORA and drafting petitions for expropriation for the Peasants Council of Puerto Saavedra. After all, Domingo Durán is the president of the latifundistas of Chile." Part of the "legal game" calls for CORA officials to visit the farm and appraise the installations, machinery, and animals for compensation to the former owner. Theoretically, if the expropriated owner thinks the payment fixed by CORA is unfair, he can appeal his case to one of the Agrarian Tribunals established under the 1967 land reform law. In fact, however, most of the judgeships on the Agrarian Tribunals have remained vacant because the Allende regime has refused to make appointments to these courts. Ironically, the same travesty of justice is being practiced against the landlords that was carried out against the Mapuches a half-century ago. The kind of confusion that can arise out of this state of affairs is illustrated by events following the toma of the nearby Fundo Nehuentue, which I Visited two weeks after its seizure in late March 1972. As in the case of nearly all seized fundos, there was no place for the invading peasants to live, so the 30 families who seized the Fundo Nehuentile settled into a barn, which soon became filled with children and smoke from cooking fires inside the building. The barn was partitioned into sleeping quarters for the 30 families, most of whom came not from Mapuche villages but from the neighboring town of Nehuentue, where they were stranded for 12 years in government-built emergency shacks built after the 1960 earthquake, which had destroyed the town of Puerto Saavedra, where most of them had previously lived. These shacks were grouped in a barren, unpainted clapboard compound that rotted for a decade alongside a road that wound through a strikingly beautiful countryside of fertile pastures and bread-loaf hills leading down to the Pacific Ocean a kilometer west of the town. The people who had lived in these shacks seemed singularly unequipped for agriculture, and quickly came into conflict with the workers who were already established on the fundo. "Most of our children have gone to Santiago because the owner of the Fundo Nehuentue refused to give our families work," one of the housewives who lived in the barn told me. "He brought in people from outside because he didn't want problems with local people. Now that we have taken the fundo, it seems that many of the inquilino families already inside are complaining that they want their patroncito [dear, little boss] to come back. They complained so much that we finally told them: 'If you want your patroncito so much, you should go where he is. Either join with us or get out.' " There was a rough numerical equality between those who seized the fundo and those living on it before the toma, but a few days later six of the old inquilinos were expelled from the farm for allegedly refusing to stand guard duty at night. According to the MIR representative who accompanied me to the farm on my first visit there, the toma of the Fundo Nehuentue had been in preparation for eight months. "There was much discussion, planning, deciding what to do, talking about what socialism is," he told me. A few days later I asked Mario Alvarez, the former owner of Nehuentue, whether he had heard of the toma in advance. "We heard for months that a toma was coming, that meetings were held in the town. I rode fences night after night with my inquilinos for months, and nothing happened. So we got tired of riding fences and then the toma came one night when I was away from the farm. I know the MIR regarded me as its enemy because I participated in the retoma of the Fundo Rucalán in December 1970. My property is surrounded on three sides by Mapuche reducciones, so we knew anyway that our turn might come soon. When the tonic, did occur, I filed a complaint with the police to inform the courts. When I filed a formal complaint with the local court, the judge issued an order for the arrest of all persons involved. But the provincial head of the Carabineros in Temuco refused to carry out the arrest order, saying he didn't have enough men. When the judge who issued the order was informed of the Carabineros' inaction, he declared himself incompetent to hear the case. Then the case file was sent to another court in the county seat of Nueva Imperial, which asked for a new report on the toma. Meanwhile, I had 175 acres of wheat being grown on contract with the State Bank as high-quality genetic seed that was needed in the province for fall planting. If the wheat were left standing much longer, the grains simply would fall to the ground and be lost for seeding purposes. There was a Communist official of the State Bank [the agency through which public credit and agricultural supplies are provided to farmers] who was very concerned about a seed shortage in coming months, so both he and I spoke with leaders of the MIR. It just happened that Juan Saavedra, the Secretary-General of the MIR in Temuco, was au old schoolmate of mine, and he thought I had an effective eviction order against the toma. So after a lot of talking, I was finally allowed by the MIR to bring a crew into my fields and harvest the wheat. But they were very careful not to allow me to go near my house or other installations." As a result of such tomas and the legal expropriations carried out by CORA, there have been major changes in the land tenure system in Cautín Province. While the Frei regime had created 30 land reform settlements through expropriations that brought roughly 1,000 families into the reformed sector in Cautín, by April 1972 the Unidad Popular government had increased this total to 151 settlements incorporating 5,096 families in Allende's first 17 months in power. In the Department of Lautaro, where the greatest number of land seizures have occurred, all of the 47 fundos were expropriated that, according to the 1965 Agricultural Census, were more than 1,250 acres (500 hectares) and occupied more than 125,000 acres together. Also expropriated were one-third of the 60,000 acres in medium-sized farms between 500 and 1,250 acres. These expropriations in Lautaro have created a reformed sector of about 1 50,000 acres to benefit some 1,297 peasant families without, however, making any great impact on the shortage of land and jobs in rural areas. According to one land reform technician with many years' experience in Cautín, "the great need and the conscious purpose in the new land reform settlements has been to absorb more labor. Planting beet sugar and potatoes absorbs lots of labor, but this can be done only in certain places in Cautín. Our beet sugar crop throughout the country has suffered this year because private farmers are reluctant to hire labor to plant and harvest the beets, fearing that these men will form groups to take over the farms where they're working. These problems really are very complex. Despite the fact that wheat, meat, and milk are scarcer commodities in Chile than in Argentina, the Chilean prices for all these commodities have been kept artificially lower to protect the urban consumer. Declining yields have resulted over the years because of a lack of production incentives and planting marginal soils with wheat and rapeseed [to make vegetable oil] that do not belong there. No well-worked farm should produce wheat yields of less than 30 or 35 quintals per hectare, yet because of soil exhaustion and poor farming practices in both the minifundia and commercial farming sectors the average wheat yield in Cautín Province is around 15 quintals per hectare. Now with so much land in the reformed sector, even these low yields are being undermined by organizational problems and late arrival of seed and fertilizers. The planting for the 1971-72 harvest was delayed because the necessary machinery, seed, and nitrate fertilizer arrived in June and July instead of April or May when they were needed to plant winter wheat. This year the 1972-73 harvest is being delayed by the lack of phosphate fertilizer, which is desperately needed in our volcanic soils. Unfortunately, 80 per cent of our phosphate must be imported and is a drain on our foreign exchange reserves." The demographic pressures on a stagnant provincial agriculture have been aggravated both by production declines and logistical snares in the agrarian reform bureaucracy. The new organization emerging in Chilean agriculture-that of cooperative or collective settlements guided from day to day mainly by government technicians-is the result of an urgent quest by Latin American land reform specialists for a formula to absorb the most surplus peasant labor possible into an obviously inadequate supply of available land. Since Chile is already a net food importer with chronic balance of payments problems except in years of high world copper prices, and since those three-fourths of all Chileans who live in towns and cities must get most of their food from the one-fourth of the population still living on the land, it seems that a fundamental conflict is being posed between the demands of redistribution and productivity. According to the respected survey of the Economics Workshop of the University of Chile, 'available information for the 1970-71 agricultural Year shows an estimated growth for the whole sector of 5.8 per cent above the preceding year. Since a greater increase is expected for the economy in general, the agricultural sector in 1971 will represent less than 8 per cent of Gross National Product although the farm sector employs nearly one-fourth of the country's labor force. This again demonstrates the profound disequilibrium between the agricultural sector and the rest of the economy, which has a per capita product three times greater than that of agriculture. On the other hand, imports of food products are growing in 1971 at more than 64 per cent. Supposing that the figures on production increases are correct, the rising imports could be explained by the redistribution of income that would mean an increase in food consumption by the low-income sectors of the population and also by increases in the majority of world food prices. Surveys of intentions to plant for the coming year show that the best we can hope for is a drop of 2.5 per cent beneath this year's agricultural production. It is disturbing to think that the agricultural sector has received an increasingly preferential treatment in recent years in terms of political and social policies expressed in terms of development plans, agrarian reform, etc., without any positive results showing from the vantage point of the whole Chilean economy. It is possible that this is due to the slight emphasis placed on problems of productivity and production. ... The above production estimates do not take into consideration the problems arising from the acceleration of the agrarian reform in 197 1 nor the effects of the proliferation of tomas and the climate of effervescence that has reigned especially in the South." In this context it is especially revealing to examine the impact on the national food supply of recent developments in Cautín Province, which is a leading producer of wheat, oats, barley, vegetable oil (rapeseed), peas, beef, and milk. According to statistics supplied me by the Empresa de Comercialización Agricola (ECA), the public agency in charge of food imports, the key items of wheat, powdered milk, vegetable oils, and beef have accounted for most of the explosive growth of food imports over the past decade; between 1963 and 1971 the volume of these items imported grew from 101,000 to 569,400 metric tons, while in value these imports grew from $16.4 million to $128.4 million. Over the past two decades, Cautín Province had remained Chile's largest wheat producer, growing more than two million metric quintals in a good harvest year. However, the urban population of the province has grown from 27 per cent in 1940 to 35 per cent in 1960 to 50.4 per cent in 1970. with this urban population growing at the rapid rate of 5 per cent annually over the past decade. This burgeoning of town-dwellers has meant, according to ECA officials interviewed in Temuco, that Cautín itself today consumes one-half of its own wheat production and thus can send less and less outside the province to feed the rest of the Chilean population. This fact gathers significance when one considers that the 1972 wheat harvest in Cautín was one-third below the previous harvest, according to Agriculture Ministry officials in Temuco, and even less if one listens to the government's enemies. The problems generated by revolt and reform in the Chilean countryside must be viewed in terms of an historically stagnating agricultural economy and constantly expanding urban food requirements. The declines in wheat, milk, and sugar beet production, the clandestine slaughter of beef and dairy cattle by frightened farmers trying to defend themselves against land seizures and confiscatory expropriation all must be judged, however, in terms of an exceptional situation which will surely pass, but will just as surely leave residual problems that may take decades to resolve. This exceptional situation has been explained best to me by some of the young technicians who run the present agrarian reform at the grassroots level. In the words of José Ovando, the 25-year-old director of the CORA office in Lautaro, this year's production declines in Lautaro-Chile's leading wheat-producing county-can be explained by several causes. "In the first place," Ovando told me, "many of the tomas and expropriations of fundos came just before the fall planting of winter wheat, our most important crop, and we just didn't have the manpower or resources to cope with the confusion. Not only did seed and fertilizer arrive late for the planting, but we had and still have a critical shortage of technicians to work with the peasants on the expropriated fundos. To work among some 60 farms now in the reformed sector in Lautaro, we have only ten technicians, and they must walk or hitchhike from farm to farm because there are not enough vehicles to go around. The lag between the takeover of the fundos and the training of a new work force has been taking too long, and this has been complicated by other factors such as too much rain and wind during the fall sowing season and poor applications of insecticide. On top of this, CORA is without money and the State Bank recently cut off credit advances to our land reform settlements because they didn't make their expenses during the 1972 harvest. This meant a cutoff in the daily wages of 1,500 men supporting some 7,000 people. This is why the peasants recently moved into Lautaro and occupied the offices of CORA until we met their demands. The problem was settled in their favor when we appealed to Santiago to overrule the local State Bank officials' decision." On the Fundo Tres Hijuelas, 22 peasants were employed as a result of the land reform where, in the past, five workers were enough to make it one of the best wheat farms in the district, and this pattern of overemployment is visible throughout the reformed sector. "Because of the MlR invasions, too many peasants have stayed on too many small farms," said the young CORA field worker who provides technical supervision to Tres Hijuelas and six other seized farms in the district. "The MIR has the great advantage of living with the peasants, which government officials never do. The MIR is disciplined and hard-working and its cadres live on the asentamientos, but never appear before strangers. In Lautaro these days there are no more tomas because there's nothing left to take. Now that the tomas here are over, we find the big problem for the peasants is communal living. Although most of them were grouped together in reducciones, they worked their tiny plots of land individually and are totally unaccustomed to working in groups with a common purpose and without constant fighting. The president of the asentamien to theoretically is in charge, but he has little authority to get people to do what they don't feel like doing. The peasants are benefiting from the process without understanding it. They can't believe the land is really theirs and that they have a stake in their asentamientos to develop them more. They just feel that the government has become the new owner, and their wages are much better now in terms of the 'labor advances' paid by the State Bank." These "labor advances" paid at the rate of 30 escudos a day to peasants on all land reform settlements in Chile by the State Bank has become critical to the reformed sector. According to another CORA official, half of the 32 million escudos lent by the State Bank last year to the reformed sector in Lautaro went for these advanced wage payments. Not only does the government undertake to supply the expropriated fundos with seed, fertilizer, and machinery, but through these wage "advances" it in effect guarantees a minimum annual wage to all peasants in the reformed sector. When loans advanced for wages and farm supplies cannot be repaid-as is often the case-blame is rightly laid at the door of the land reform bureaucracy for its apparent incapability to get seed and fertilizers to the farms in time for planting. When one views this problem in the context of the land reform's main objective of maximizing farm employment, however, it becomes clear that the payrolls on the expropriated farms have been expanded by the agrarian reform far beyond the capacity of most production units to repay the wage bill advanced by the State Bank. Since one of the main lures held out to peasants preparing land seizures in Cautín is hope of exchanging the abject misery of subsistence farming for year-round wage employment, the urge to hold onto this wage advance is very strong. As in the case of other money-losing state economic operations-including some of the recently nationalized factories, banks, and distributorships-the only way of avoiding chaos is for the government to print more paper money to make up for losses. Thus the amount of currency in circulation increased in Chile by 120 per cent during 1971, and continues at the same rate for 1972. During the first five months of 1972, inflation has been running at an annual rate of 60 per cent. President Allende seems unable to take decisive action to deal with the agrarian crisis. He cannot send the army into key areas to impose order or to offer guarantees or incentives to the private sector, along the lines of Lenin's New Economic Policy, because this would antagonize important elements of his Unidad Popular coalition. He cannot impose lull state control of the agricultural sector because the opposition is too strong for the government to do this, legally or illegally, Besides this, the resources of the state administrative apparatus are Already enormously over committed as a result of the seizure or expropriation of 263 factories and thousands of farms that have been absorbed into the public sector Also, the agrarian reform bureaucracy has becomy honeycombed with rival political actions. In a recent interview, Agriculture Minister Chonchol bitterly complained: "The government apparatus in the agricultural sector is bad. We Inherit a structure in which 30 different organisms Operate under four or five ministries... The problem worsens if we consider that middle-level management is divided among different parties within the Unidad Popular We adopted this principle to avoid that a government agency might become the fief of a single party, but in practice these organisms tend to wear their own colors. To remove a single functionary you sometimes have to fight a whole party. This wears you out." The three months of my visit to Chile- February through April 1972-saw an alarming and accelerating deterioration of the Unidad Popular government's position, a decline which has continued since then. In the first five months of this year the Unidad Popular has lost three major elections among the three social groups on which it counted for the strongest support: peasants, students, and workers. It is hard to say which of these defeats did more harm to Allende's coalition-the parliamentary by-election losses in the rural provinces of O'Higgins and Linares, the resounding defeat of the Unidad Popular candidate in the University of Chile's elections, or the massive Christian Democratic vote in the formerly Marxist-dominated labor confederation CUTCh (Confederación Unica de Trabajadores Chilenos). But it was the January 16 by-election in Linares that showed the failure of Allende's agrarian policy of accelerating the legal process of expropriation while allowing free rein to the MIR to carry out tomas. In his landslide defeat in Linares Province of Sra. María Elena Mery-the widow of a Frei regime land reform director there who was killed by a landlord while carrying out an expropriation-the candidate of the conservative National party, Sergio Diez, announced in his campaign that "I am doing battle against the government and the MIR" in response to a radicalized land reform program drawn up by the MIR and the Unidad Popular parties in Linares shortly before the election, and to the large number of land seizures and expropriations taking place in the province while fear was spread among peasants by the opposition that all expropriated lands would be turned into state farms. After the Linares voting, the MIR representative in the province, who helped run the defeated Unidad Popular candidate's campaign, told a reporter for the opposition magazine Ercilla: "The result of this election proves that electoral struggles play an important role in the strategy of fascism, which thus accelerates its offensive plans to weaken the government in order to overthrow it... The electoral result shows the need to intensify our offensive with a program to unite all progressive social sectors to defeat the fascists, a program elaborated by the masses and not by the political parties. In this sense we of the MIR believe it is becoming necessary to intensify the work of our militants in the province of Linares and, in general, in the whole Central Valley. Our militants will come here to perform this task and win over the peasants to the revolutionary process." It is amazing how much, through the whole period of Allende's rule so far, a small group like the MIR has remained at the center of the ideological debate in Chile not only between the government and opposition, but even more importantly among the Unidad Popular coalition parties themselves. Although not itself a member of the ruling coalition, the MIR has played the ambiguous role both of revolutionary vanguard and of viper at the bosom of the Unidad Popular government. When the MIR sent its cadres into the Central Valley during the 1971-12 harvest season, its economic and social impact was much less than in Cautín the year before, but politically it was the perfect target for attacks against the government by the right-wing press and the Sociedad Nacional de Agricultura (founded in 1838), which for more than a century was Chile's most effective political party and whose powers of persuasion never should be underrated. The rural agitation in the Central Valley this year bore most heavily upon Nuble, which is Chile's second most important wheat-growing province (after Cautín) and the leading producer of beet sugar. In Nuble the MIR cadres were formed largely by students from the University of Chile's Agronomy School in the provincial capital of Chillán, some 63 fundos in the province were reported seized by March 1972, another 17 on strike and another 13 being managed by government interventors.26 These strikes and tomas seemed part of a contest between the extreme left and the agrarian reform authorities prior to the legal expropriation in late March of 137 fundos in Nuble to see how many farms would be expropriated without any land, machinery, animals and buildings left to the previous owners, and which political faction would win the loyalty of the peasants. This political contest is being duplicated today on mimeograph machines and in street fights elsewhere, to the degree that, if civil war is a reality in Chile today, the contending factions are the MIR and the Communist Party. Throughout the summer and fall of 1972 this dispute became increasingly acrimonious and harmful to the Allende regime, especially after a MLR student was killed in May by police during street fighting in Concepción prompted by MIR efforts to stop an antigovernment protest march. Increasingly, the MIR has insisted on defining recent events in Chile as part of a polarizing struggle between socialism and fascism, while the Communists have attempted to move into middle ground to neutralize antigovernment feeling and consolidate the badly shaken Unidad Popular coalition. Increasingly engulfed by intractable political and economic problems, President Allende has seen his capacity for maneuver rapidly diminish and the survival of his government increasingly in doubt. His friends on the extreme left-both within and outside the Unidad Popular coalition-increasingly see Allende's fall as inevitable and feed their imaginations with dreams of repression and guerrilla warfare. As a young MIR activist told me recently on a spectacular autumn afternoon as we rode together in a jeep through the Mapuche country of Cautín: "There is a great sense of failure and frustration in the country toward the Unidad Popular, and we believe Allende will fall. We think it much better for the future of the Left and of socialism in this country for Allende to fall by an act of force against a legally constituted government than to be rejected overwhelmingly by the electorate. For this reason we are trying to create a situation of disorder and tension to provoke the reactionaries into a coup d'état."